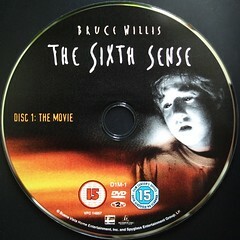 This entry was posted on Saturday, July 23rd, 2011 at 5:17 pm	and tagged with Bruce Willis, Haley Joel Osment, Movies, postaday2011, Sixth Sense and posted in Blogging. You can follow any responses to this entry through the RSS 2.0 feed. I love MNS’s films. Love them. Love love love them.